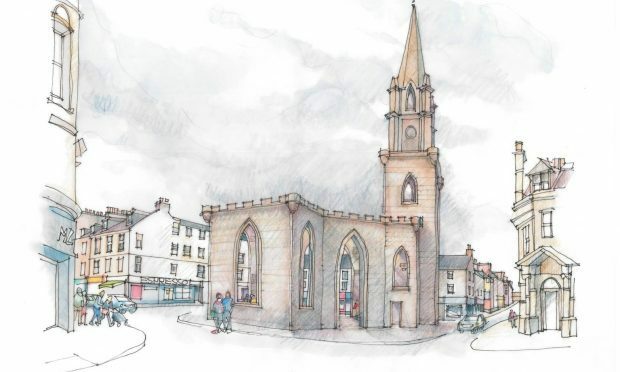 Given the green light by Perth and Kinross Council last year, development plots ranging from 1 to 5.7 acres are being marketed for industrial uses. Mains drainage, water and electricity are available nearby and a private electricity supply from the on-site private Solar Array is also available for those companies with a strong green ethos. Several of the 11 serviced plots, have already been sold and 5 sites for general industrial use are still available, either separately or in combination. 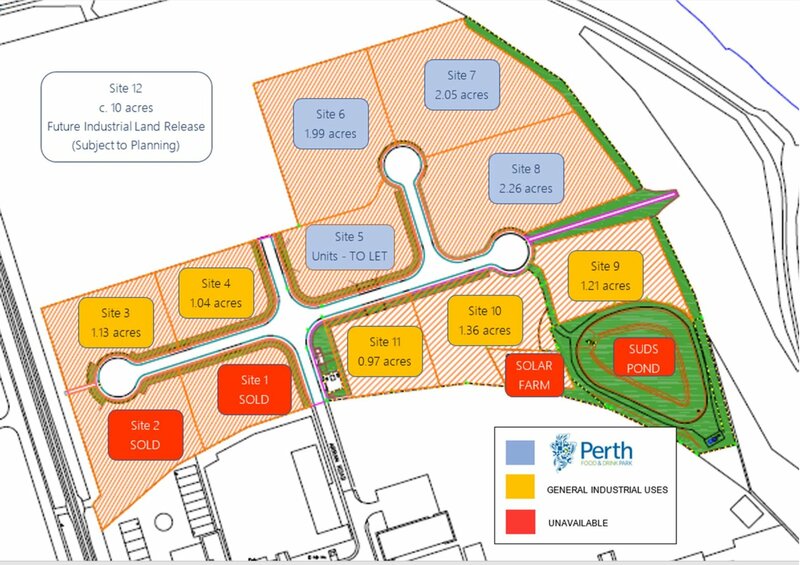 In addition, a number of other plots which are earmarked for inclusion as part of Perth’s Food & Drink Park are also available by way of long ground-leases, and those businesses which qualify as appropriate uses may benefit from a range of initiatives such as assisted marketing and promotional events in line with the council’s vision for creating a food and drink centre of excellence. 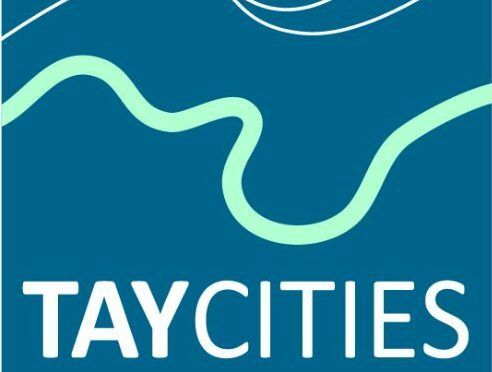 The sites are strategically situated close to the A9 trunk road, with good links into Perth city centre and the mainline train station and only a 45-minute drive from Edinburgh International Airport. Perthshire is home to a number of world-class education and research institutions and major companies including SSE, Aviva, Stagecoach and Highland Spring. Perth’s immediate access to Scotland’s national road network, airports and the city’s superb rail links ensure quick and easy access to markets and national talent. 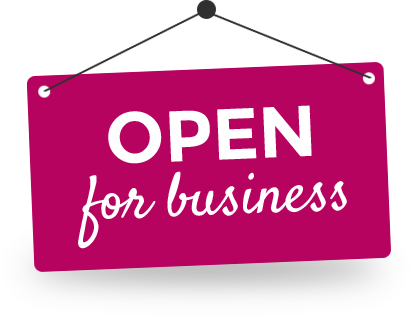 Doug Smart of selling agents Smart & Co, said: “This release of land at North Muirton will provide a long-awaited opportunity for many businesses who have been looking to secure ownership of their own premises without leaving Perthshire. 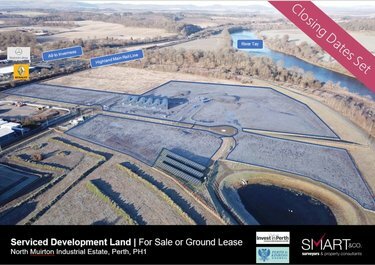 “There has been a shortage of available land for sale for industrial uses in Perth, so this will help alleviate the blockage and enable growth in the sector. The closing date for plots 3 and 4 is noon on February 8, 2018, and for plots 10 and 11, noon on March 2, 2018. For more information, contact the sole selling agents Smart & Co. or Doug Smart on 07850 517 323 or Graeme Duncan on 07954 815 365.